An Interview With the Author of Mistakes I Made at Work, Jessica Bacal! The Curious Cat Project is all about connecting and inspiring writers. Personally, I love reading interviews with writers about their own stories and work. It's energizing and motivating! In an effort to help spread that feeling to my fellow writers, I am thrilled this month to introduce you to Jessica Bacal, who has a really cool story and impressive background. 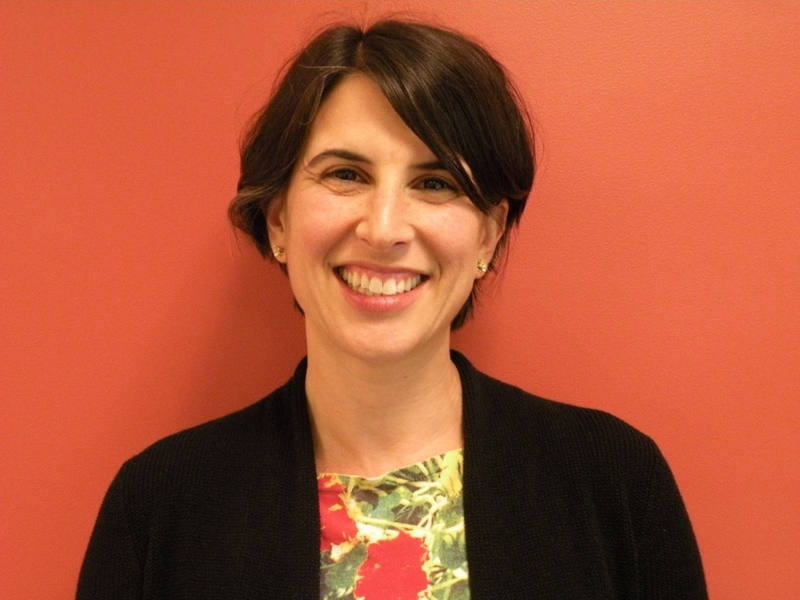 Jessica directs the Wurtele Center for Work & Life at Smith College, an independent women’s college in Massachusetts. You can purchase a copy on Amazon. It's definitely Curious Cat-approved! 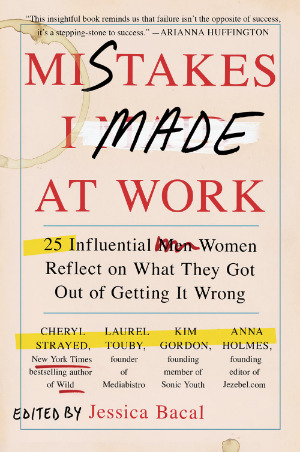 Her recently published book, Mistakes I Made at Work: 25 Influential Women Reflect on What They Got Out of Getting It Wrong, emerged from her experiences with students and includes interviews with notables like Cheryl Strayed, bestselling author of Wild (you know how I feel about that! ), and Anna Holmes, founding editor of Jezebel.com, just to name a few. Mistakes I Made at Work has been featured in Publisher Weekly’s "Top 10 Business and Economics Books for Spring" and in Fast Company's "10 New Books You Need to Read This Year." Jessica’s writing has also been featured in places like Inside Higher Ed, HuffPost Women and The New York Times blog "The Choice." Before working at Smith, Jessica was a curriculum development and consultant in New York City, and an elementary school teacher before that. She received a bachelor's degree from Carleton College, an MS.Ed. from Bank Street College of Education and an MFA in writing from Hunter College, part of the City University of New York. She now lives in Northampton, MA with her husband and two children. Without further ado, here's Jess! For those who haven’t read your newest book, what is Mistake I Made at Work about, and why did you feel it was necessary to write? Jess: It’s a book in which I interview 25 influential women about mistakes that they made at work. I was in a new job, directing a center at Smith College, and feeling a lot of anxiety about doing everything right. I saw a similar kind of anxiety in the students around me. I thought it would feel comforting – for all of us – to hear stories from successful women who had succeeded because they’d been able to learn from their mistakes, and not because they’d never made any mistakes. Those stories weren’t out there. The Curious Cat Project is all about connecting writers who do something else full-time. What advice would you give to writers who are fighting to find both time and purpose? Similarly, in what ways have you found the ability to take control of your own evolving narrative? J: When I got my job as director of this center, I felt like I was throwing my writing over a cliff – that was the image that kept coming to me. I just thought I wouldn’t have time to write. (More on that later.) But this was a book that was connected to my work, and once I’d sold it and had a deadline, I was able to make myself sit down for about an hour a night, going right to work on it rather than spending time on Facebook or something else first. So I think ultimately, my advice would be to find a way to have a deadline, either through a writing group, or because you’re going to submit something to a contest or journal by a certain date. And then I’d just chip away at the project. Even working for 20 minutes a day adds up. It’s funny, though, to be giving advice – because in a way, there’s no answer. It’s just really hard. The most important thing is what my friend, Eve Grubin (the poet), says: You have to want to do it. You have written a lot about the importance of women learning from and talking about their mistakes. It’s hard to tout your own successes, let alone talk about your own failures– what do you think is the key to creating that workplace and professional culture where it’s ok to not only talk about them, but use them to move forward? How does this work in mixed gender workplaces? J: Whether only women or women and men are working together, I think it’s all about the tone that you set and the language that you use – from the very beginning. I’ll use my dad as an example, since he runs an office with about a dozen people working in it, and does a great job (in my opinion) of encouraging what Carol Dweck calls a “growth mindset.” One thing he does is to give any new assistant a list of guidelines, including: “We hired you because of your talent and potential, not because we expect you to know everything,” “There is no such thing as a stupid question; you always have permission to ASK,” “You WILL make mistakes; that is one of the best ways to learn,” and “The rule of thumb for anybody starting a new job is that it takes six months to begin feeling comfortable with what you are doing.” I think that it’s important for people in charge to say these kinds of things explicitly. What are your top 3-5 “must-reads” right now? They can appeal to writers, women, professionals-- anything life-changing that has to go on our reading bucket lists. J: The main “must read” that I’ve been recommending is Whistling Vivaldi: How Stereotypes Affect Us and What We Can Do, by Claude M. Steele. It’s the “first year read” for Smith this year, and it has given me a really useful lens through which to think about testing and achievement and success and “smartness.” I also just finished Americanah by Chimamanda Ngozi Adichie, and thought it was amazing. I’d never read a book about the experience of a student from Nigeria (or any African country) attending a U.S. college – and that’s only part of what the book is about. I would also recommend What Works for Women at Work: Four Patterns Working Women Need to Know, by Joan C. Williams – a law professor I’ve long admired – and her daughter, Rachel Dempsey. I will be adding those to my Goodreads! You have been interviewed by Forbes. Your work has appeared on The Huffington Post. You are a published author. These are achievements many writers aspire to and admire. What would you say was the key lever for you in moving your work forward? Is it true what they say– that you just need to do work that you love, help others, and the rest naturally comes your way? J: Yes and no. There are really two stories about how this book happened. One is the story that I’ve already told, in answer to your first question. The other is the story that I actually never tell: When I got this job as director of the Wurtele Center for Work & Life at Smith, I thought: “I’ll never write again.” Because I thought I’d never have time. I started thinking about developing a book that was connected to my work, and it was a slow process (a couple of years at least) from my “mistakes” idea to having a book proposal in-hand. So in a way, it was pretty strategic. But at the same time, it was an idea that interested me, that made me curious . . . one I could stick with. I have to ask. What was your biggest mistake? What do you hope other young women can learn from it? J: I’ve made many mistakes, and continue to make them. But here is one story: One day, early in my career at Smith, I had to run out of the office to pick up one of my kids, who was sick. Just before leaving, I sent my assistant to sit in and take notes at a meeting with several professors – a meeting where I’d been planning to deliver and present a new proposal on behalf of my boss. I’d been nervous about the meeting, and part of me was actually relieved to now say to my assistant, “Here are copies of the proposal. Would you just give them out?” She did, but (as she later told me) the professors started leafing through the copies and asking questions – to which she didn’t have answers. A few days later, when my boss heard about what had happened, she asked me, “What were you thinking?” and I wondered, What was I thinking? Then she told me to table the proposal all together because we’d gotten off on the wrong foot. My anxiety about not being good enough had actually screwed things up. Thank you for sharing that story! Switching gears a bit. Who/what inspires you? J: I’m inspired by the students at Smith, who are amazing and come from all over the world and are so committed to making the world better. I’m inspired by writer friends, like Heather Abel and Rachel Simmons. And I really like to read fiction – I think that reading about complex characters inspires me to try to be more connected and empathetic. In honor of The Curious Cat Project, what still makes you curious? What do you still want to learn? J: That’s a great question. There’s so much that I want to learn, but just to throw out something concrete, I just visited Montreal and loved it so much, and now I’d like to learn to speak French. I’m thinking maybe I could audit a class at Smith . . .
Is there anything else you’d like to add? Anything you would like to share that’s inspirational or informative? Something I forgot to ask? J: I love that you’re doing this blog! Most writers have to have jobs, right? I think it’s a misconception that they don’t. And so we’re all just struggling away to do the work that pays and the work we love (but also often hate) at the same time. Many, many thanks to Jessica for taking the time to connect with The Curious Cat community! Be sure to read Mistakes I Made at Work and leave your thoughts as comments so we can keep the discussion going. You can also follow Jessica (@JessicaBacal) on Twitter here.